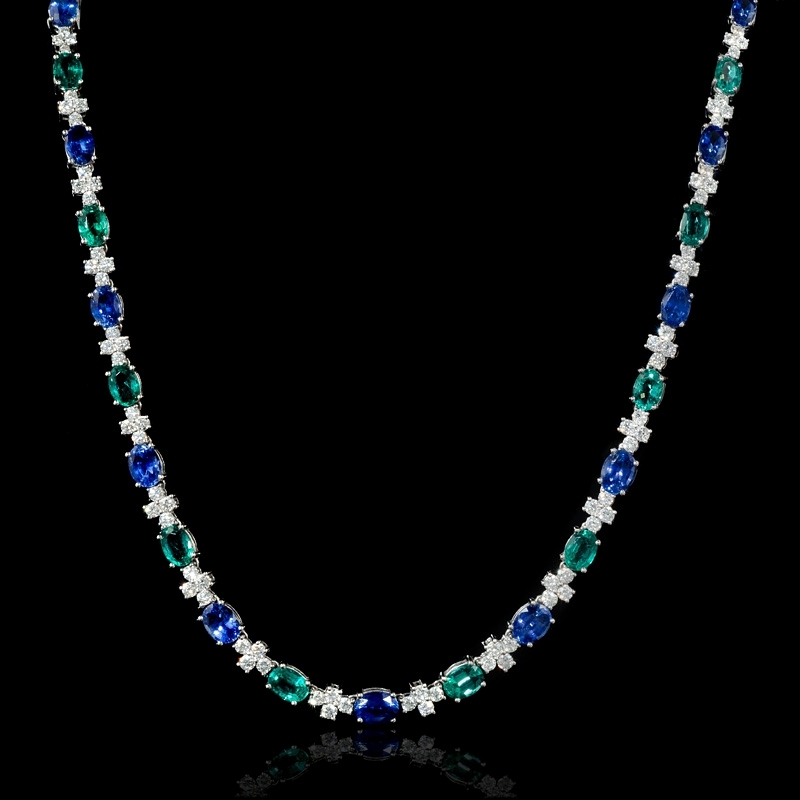 Measurements: 16 inches in length and 6mm at its widest point. 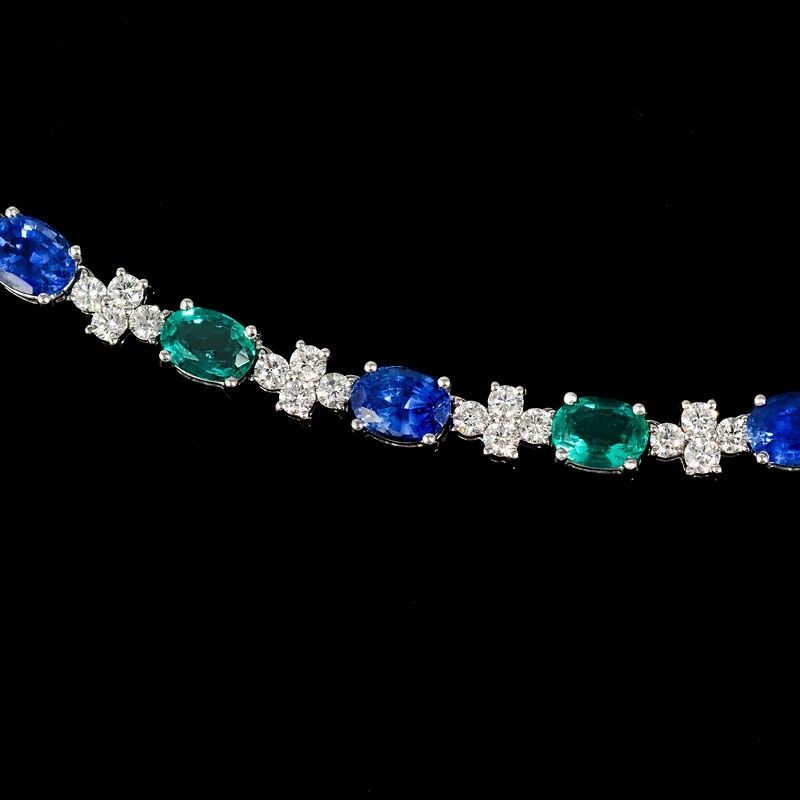 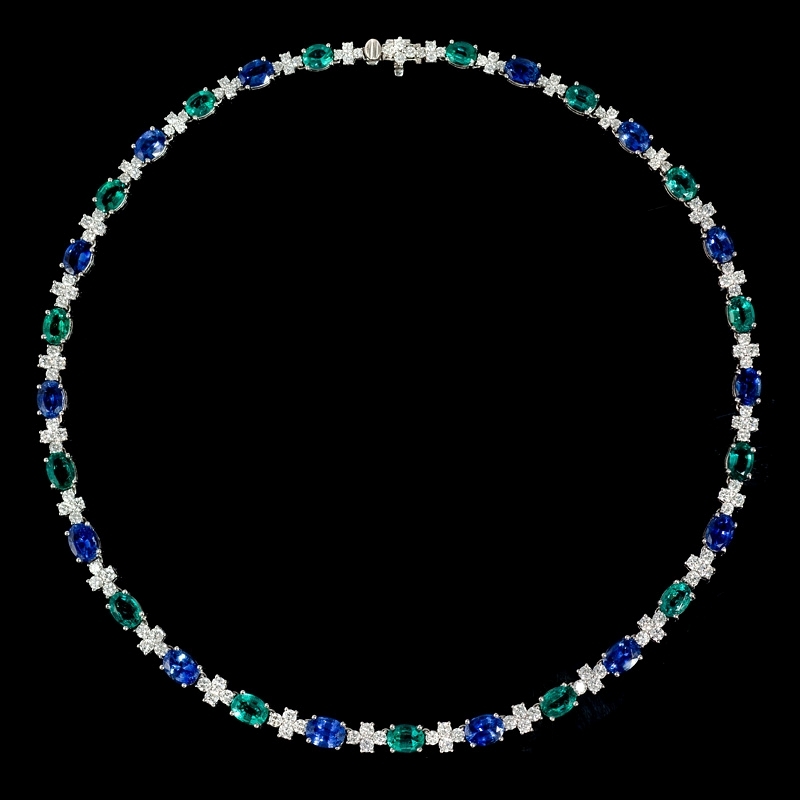 This elegant 18k white gold necklace, designed in Italy, features 124 Round brilliant cut white diamonds, F color, VS2 clarity and excellent cut and brilliance, weighing 6.37 carats total, 15 oval cut emeralds of exquisite color, weighing 10.67 carats total and 14 oval cut ceylon blue sapphires of excellent hue and even color distribution, weighing 15.87 carats total. 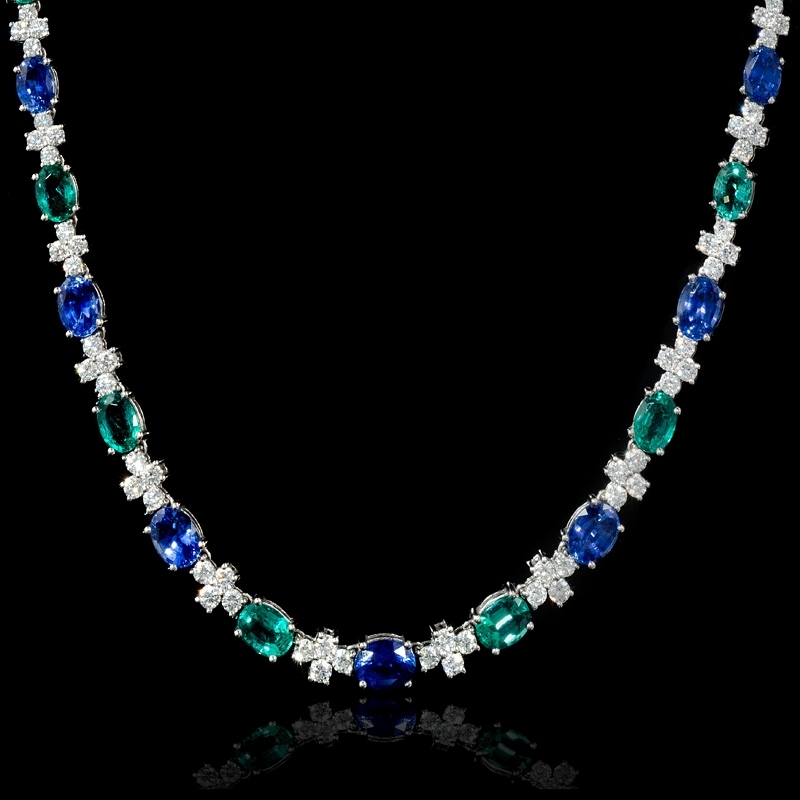 The diamond necklace measures approximately 16 inches in length and 6mm at its widest point.